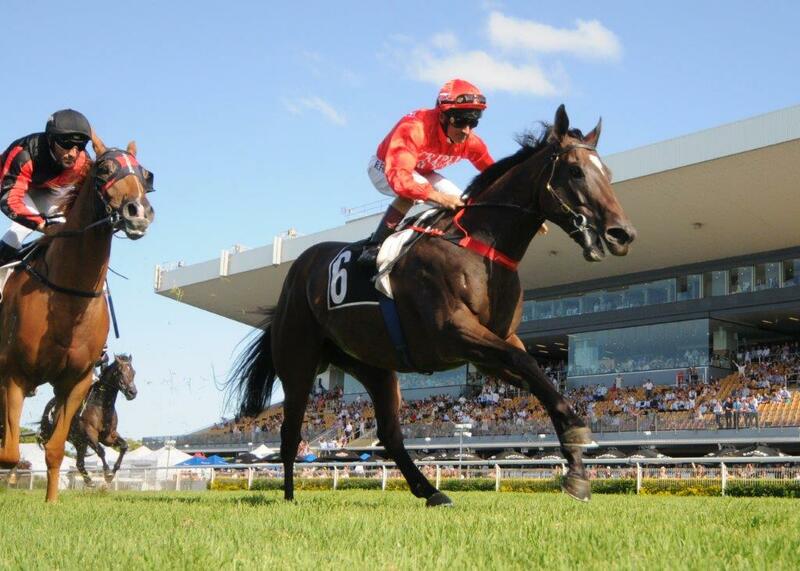 “WOW” was the verdict of trainer Tony Gollan after Courtza King swept from last to first to claim Race 6 at Doomben on Saturday afternoon, and who would disagree with him? It was a stunning display from the son of Northern Meteor, as he came with a surging run down the home straight to swallow up the $2.30 favourite Dreams Aplenty, a horse who had finished second in the Group 2 Sires’ Produce at the same track just nine months ago. Gollan felt a change of scenery was the way forward after two runs at Eagle Farm and the five-year-old clearly enjoyed himself around the Brisbane track. Robbie Fradd, who had ridden Courtza King to victory in a trial 11 days previously, gave him a patient ride, before unleashing his turn of foot inside the final 300m, and there was no denying The King who soared to the front to strike by half a length. Gollan was delighted with the display and thinks the horse can progress again up in class: “He had a lot of ‘wow factor’ about him at the weekend this horse,” he said. “We wanted to ride him nice and quiet and let him get back and settle and run on. They didn’t go as quick as they were looking, and those on speed gave themselves a chance and duly finished second and third. “This horse came from next to last. He had to make his own running as he couldn’t get a drag into the race, which makes his run even better, but his finish was absolutely outstanding. This is definitely the way to ride the horse, just sit him back like that and unleash him for a finish. Tougher assignments beckon for Courtza King as Gollan suggested his next port of call could be a Class 6 Plate in two weeks’ time. “Where to next? There’s a class 6 plate at Doomben in a fortnight and we’ll come down in weight as we’re going up in grade and hopefully there’ll be a nice tempo to the race and we can just sit back and finish over the top of them again,” added Gollan. Watch a replay of his stunning finish by clicking here and selecting Race 6.